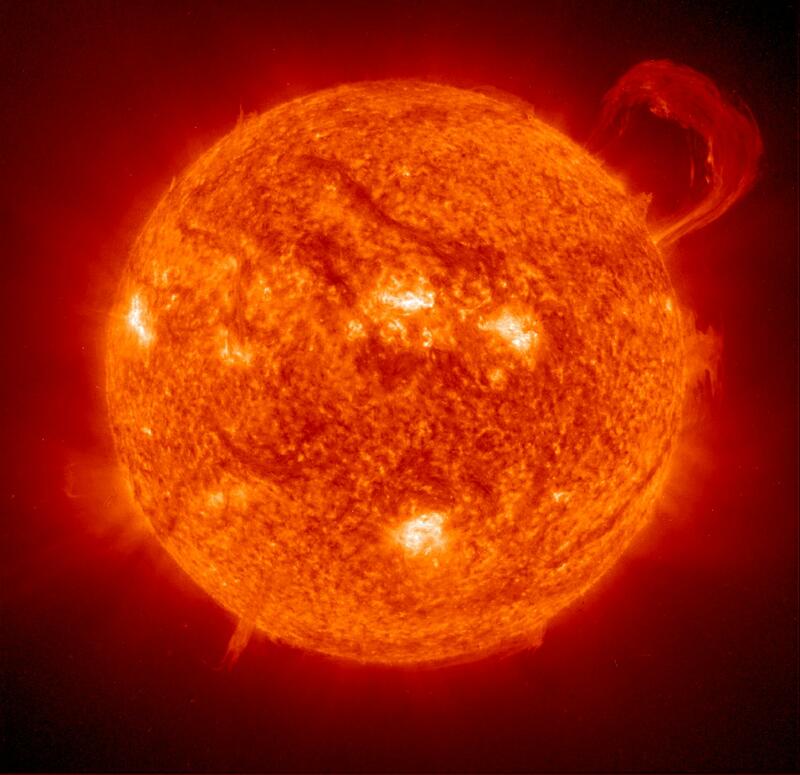 The Sun orbits the center of the Milky Way galaxy at a distance of approximately 26,000 light-years from the galactic center, completing one revolution in about 225–250 million years. The orbital speed is 217 km/s (135 mi/s), equivalent to one light-year every 1,400 years, and one AU every 8 days. It is currently travelling through the Local Fluff of the Local Bubble zone of diffuse high-temperature gas, in the inner rim of the Orion Arm of the Milky Way Galaxy, between the larger Perseus and Sagittarius arms of the galaxy. Don’t get sunburned! This fiery Sun poster is a pure scorcher. Buy a Sun Wall Poster at Amazon.com! 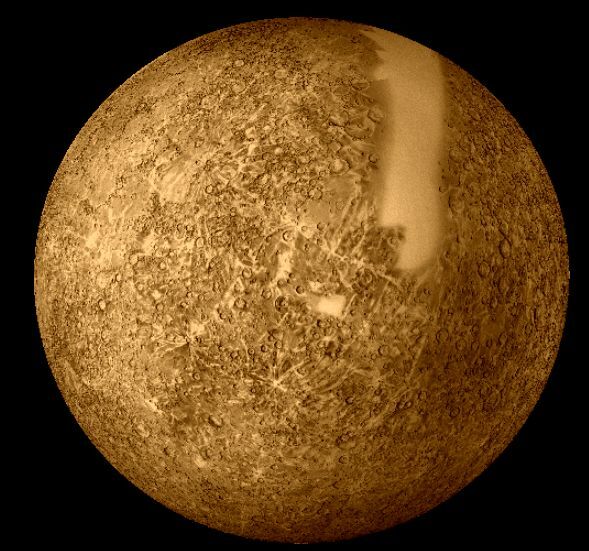 Mercury is the smallest planet in the solar system, orbiting the Sun once every 88 days. Physically, Mercury is similar in appearance to the Moon as it is heavily cratered. It has no natural satellites and no substantial atmosphere. The planet has a large iron core. 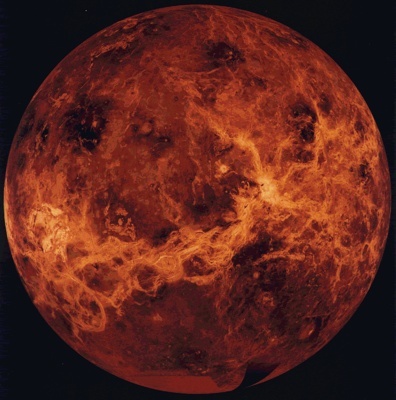 Venus is the second-closest planet to the Sun, orbiting it every 224.7 Earth days. It is the brightest natural object in the night sky, except for the Moon. Venus reaches its maximum brightness shortly before sunrise or shortly after sunset, for which reason it is often called the Morning Star or the Evening Star. Classified as a terrestrial planet, it is sometimes called Earth’s “sister planet”, for the two are similar in size, gravity, and bulk composition. Home to millions of species including humans, Earth is the only place in the universe known to harbor life. 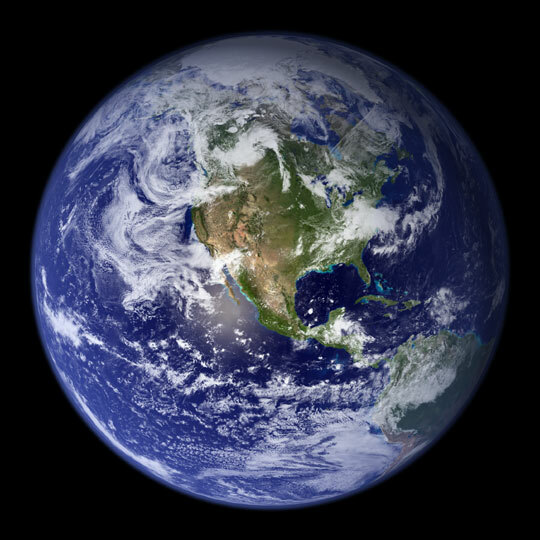 About 71% of the surface is covered with salt-water oceans, the remainder consisting of continents and islands; liquid water, necessary for life as we know it, is not known to exist on any other planet’s surface. Earth interacts with other objects in outer space, including the Sun and the Moon. 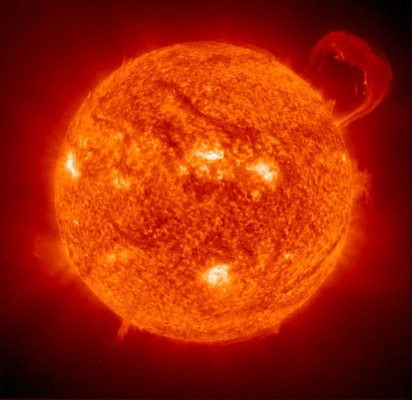 At present, Earth orbits the Sun once for every roughly 366.26 times it rotates about its axis. A terrestrial planet with a thin atmosphere, Mars has surface features reminiscent both of the impact craters of the Moon and the volcanoes, valleys, deserts and polar ice caps of Earth. It is the site of Olympus Mons, the highest known mountain in the solar system, and of Valles Marineris, the largest canyon. 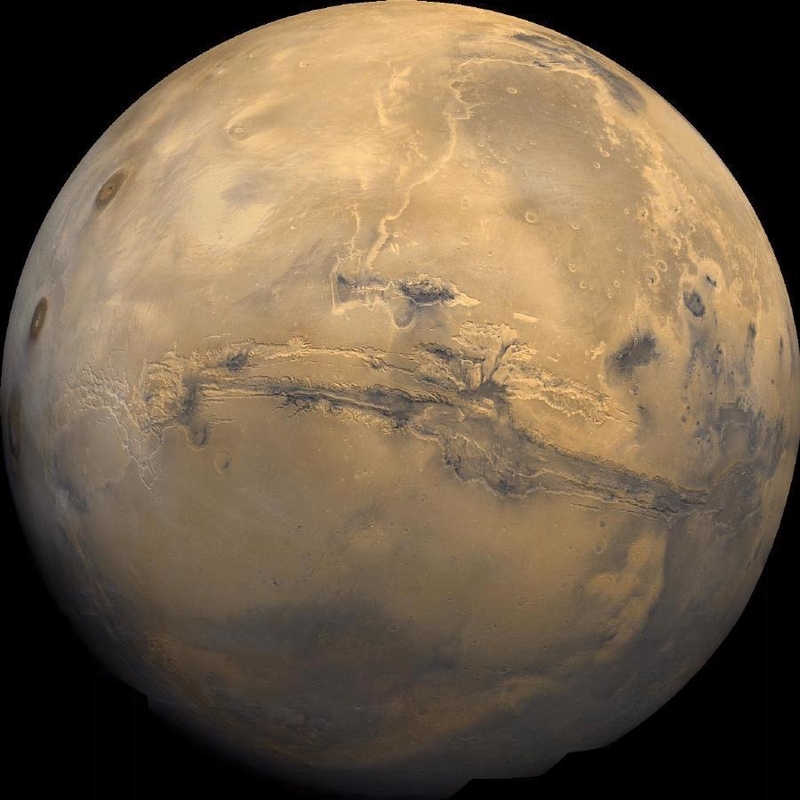 In addition to its geographical features, Mars’ rotational period and seasonal cycles are likewise similar to those of Earth. 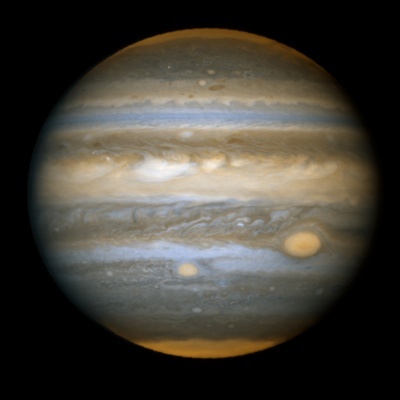 Jupiter is the largest planet within the solar system. It is two and a half times as massive as all of the other planets in our solar system combined. The plane is primarily composed of hydrogen with a small proportion of helium; it may also have a rocky core of heavier elements. Because of its rapid rotation the planet is an oblate spheroid. 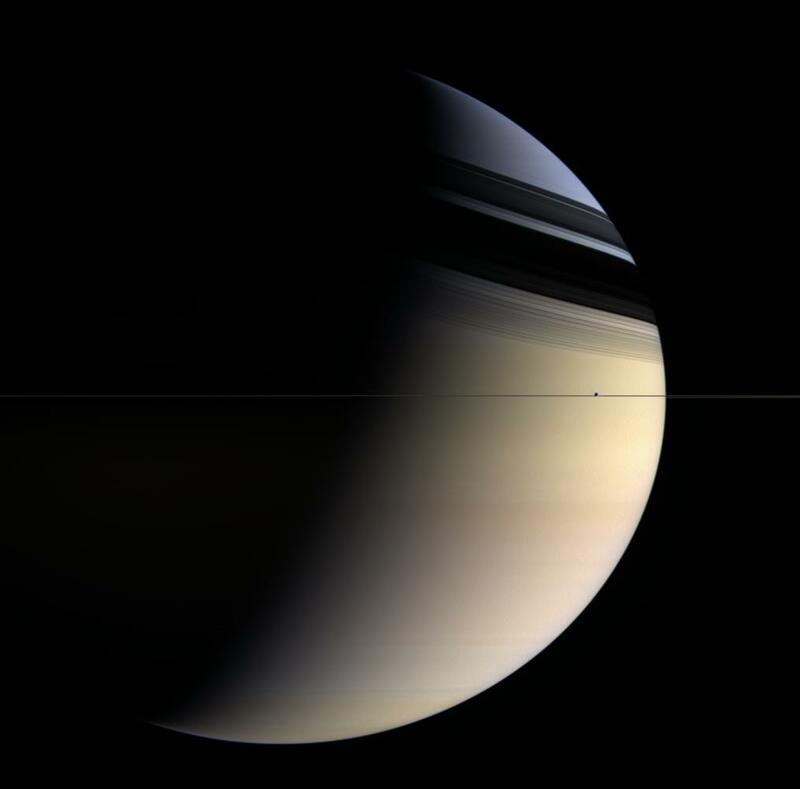 Saturn is the second largest planet in the Solar System, after Jupiter. Along with the planets Jupiter, Uranus, and Neptune, it is classified as a gas giant. The planet Saturn is primarily composed of hydrogen, with small proportions of helium and trace elements. The interior consists of a small core of rock and ice, surrounded by a thick layer of metallic hydrogen and a gaseous outer layer. It’s the sexiest planet in the solar system, and now you can pin it to your wall. Buy an epic Saturn Poster at Amazon.com! 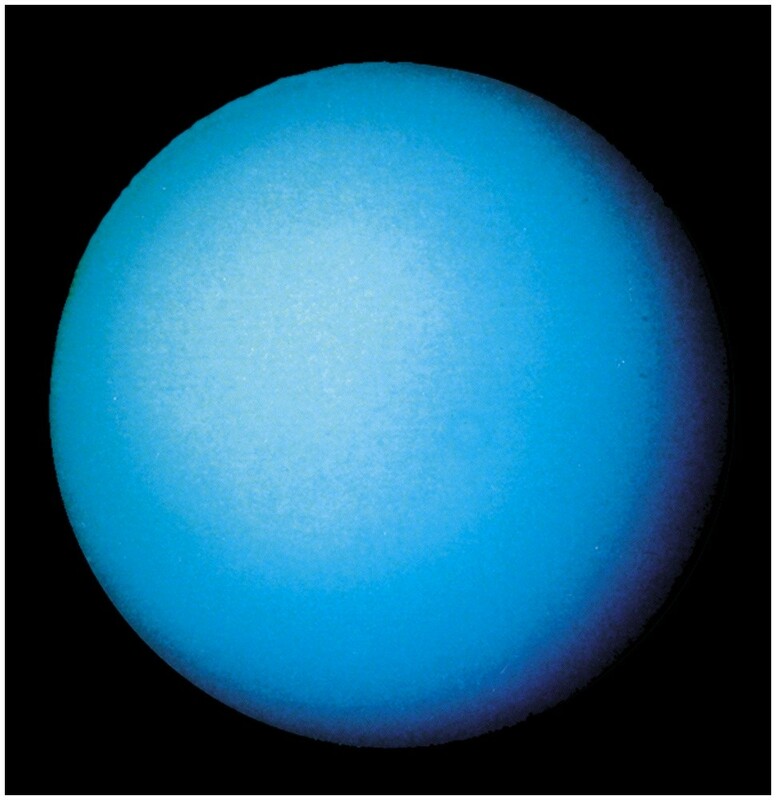 Uranus is third largest planet in the solar system. It was the first planet discovered in modern times. It is visible to the naked eye like the five classical planets, but it was never recognized as a planet by ancient observers due to its dimness. Like the other giant planets, Uranus has a ring system, a magnetosphere, and numerous moons. Neptune is the eighth and farthest known planet from the Sun in the Solar System. 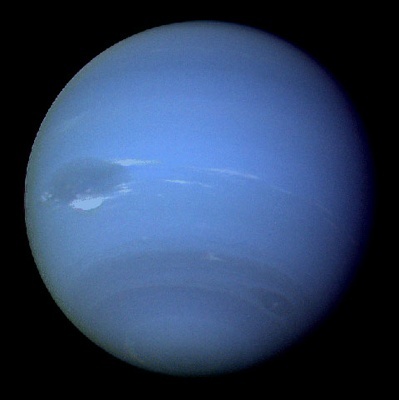 It is the fourth largest planet by diameter, and the third largest by mass; Neptune is 17 times the mass of Earth. Neptune’s atmosphere is primarily composed of hydrogen and helium, with traces of methane that account for the planet’s blue appearance. Neptune’s blue colour is much more vivid than that of Uranus, which has a similar amount of methane, so an unknown component is presumed to cause Neptune’s intense colour. I don’t care if it was demoted recently – I grew up with it as a planet so I am including it! 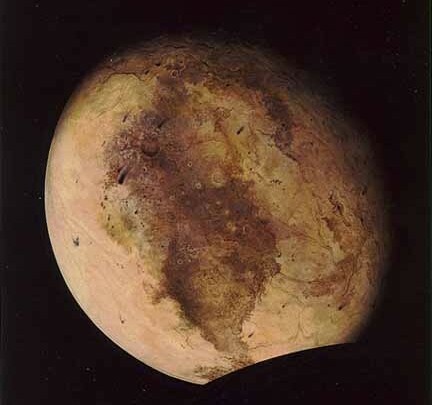 This is an artists impression as we don’t have any high resolution photos of Pluto yet. Originally considered a planet, Pluto is now recognised as the largest member of a distinct region called the Kuiper belt. 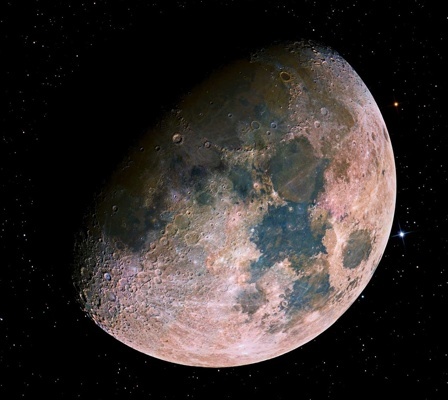 Like other members of the belt, it is primarily composed of rock and ice and is relatively small; approximately a fifth the mass of the Earth’s Moon and a third its volume. A Stunning Hi-Res image of Lunar, the earth’s moon. The color hues you see are an exaggeration – they are caused by the minerals under the surface.